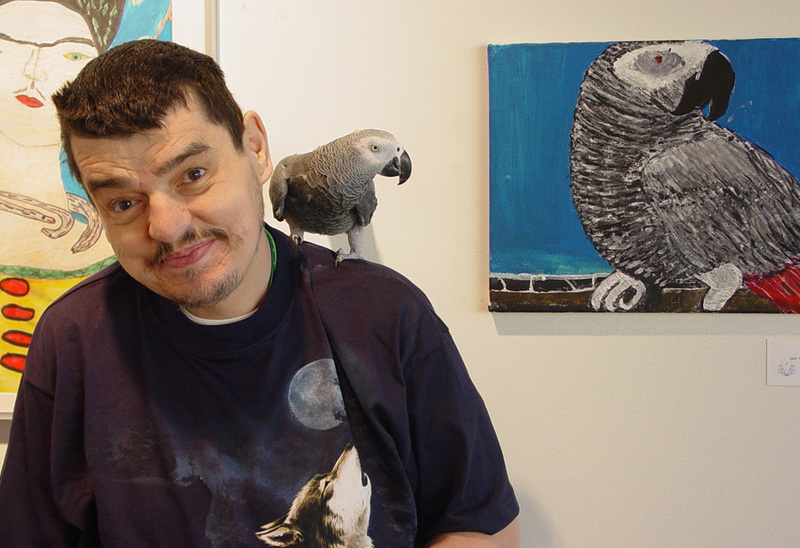 Bruce lives in Edmonton with his sister, Louise and has been making art for a long time. Bruce’s choice of subject matter is almost always animals. He used to go camping and painting animals reminds him of those times. A love of animals and art making runs in his family and he says that making art is just in his blood. He likes the dedication and work ethic that being an artist requires and enjoys it when he completes a good work. Bruce welcomes the opportunity to display his art for the public and was proud of an exhibit of his work at the Starbucks on High Street.